Ski and snowboard injuries involving the shoulder and upper limb are common during the winter season, as people enjoy ski holidays abroad. At the Shoulder Unit, we try to ensure that all patients who have, are then referred to the Shoulder Unit following a ski or snowboard injury are seen within 24 – 48 hours. We have great expertise in dealing with such problems. 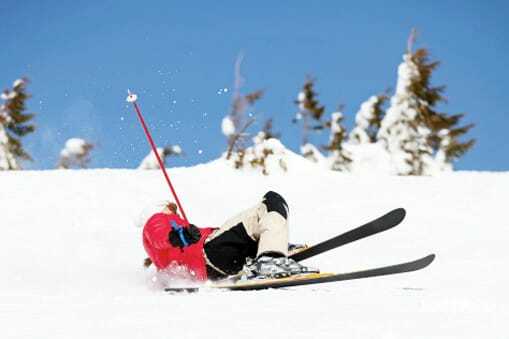 Skiing injuries and snowboard injuries involving the shoulder and upper limb are common during the winter season, as people enjoy ski holidays abroad. The injuries range from bone fractures through to soft tissue injury about the shoulder and elbow region. The most common injuries are fractures of the clavicle (collar bone) and humerus, dislocations of the the major shoulder ball and socket joint itself (glenohumeral joint) or the collarbone (acromio-clavicular / ACJ) joint, together with injuries to the rotator cuff tendons. To ask a question about skiing injuries or to book an appointment, contact our specialist team available Monday – Friday 8am – 6pm. Our shoulder team have a dedicated and caring approach and will seek to find you the earliest appointment possible with the correct specialist for your needs.